Welcome to i-Juror, Butler County’s 24-hour-a-day interactive jury information website that allows you to respond to jury summonses, complete your profile questionnaire, post-pone your jury duty date, request qualified exemptions and excuses from jury service, find answers to the most frequently asked questions about jury service, and much more. All of us who work in or for the Judicial Branch of government, Judges, Court Reporters, Clerks, Bailiffs, Court Coordinators, and many others understand that jury service is many times a considerable sacrifice we all make in the pursuit of justice—and we are proud to be able to provide you with this tool to save you time and postage to complete your jury tasks on-line at times convenient to you! Trial by jury is a fundamental part of the American system of justice, and is a right guaranteed under the Constitution of the United States and the Constitution of the State of Pennsylvania. To preserve this right it is essential that the court establish and maintain a well-functioning system for the selection and utilization of jurors. Butler County utilizes the ONE WEEK/MULTI-TRIAL system of jury service. Under this system a person called to jury duty serves for the entire week and may serve on multiple trials. 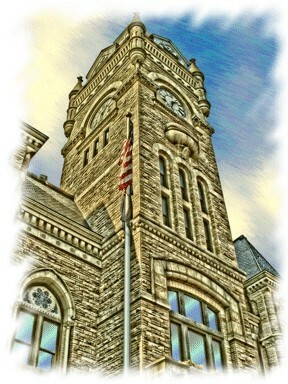 The citizens of Butler County can take pride in having one of the most modern jury systems operating in Pennsylvania. When you have completed your service as a juror, it is hoped you will have a higher opinion of the privilege enjoyed by the free citizens of our country to participate in the administration of justice. In serving as a juror, you know that you have discharged a serious responsibility in a conscientious manner. If you have any questions or comments, feel free to contact the Court Administrator's Office at (724) 284-5297.